For a long time, wearable technology was considered the domain of science fiction; a gimmick more closely associated with Star Wars or Back to the Future than real life. However, new developments in the tech industry have now made wearables a reality. And the world has adopted the trend with gusto: IDC has already predicted a meteoric rise, with the market expected to power from just $20bn in 2015 to almost $70bn by 2025. Encompassing everything from glasses and jewellery to exo-skeletons and e-textiles, wearable technology is so much more than simply making iPhone calls from your wrist or counting your footsteps. In fact, in cases where special medical care and attention is required, it can be life-changing for patients and their families. Part of the challenge is our continually increasing life expectancy, a figure that is growing by a rate of at least two to three months every year. An aging population means that healthcare expenditure is getting more substantial, with more complex and costly treatments becoming commonplace to help the elderly. In the years to come, many governments will face hard choices between higher taxes, a change in tax systems, or a reduced government role in providing healthcare. Atos’ Connected Assistance solution aims to address some of these concerns by offering a ‘life management’ service for the vulnerable and elderly. With wearable technology at its centre, currently at the proof of concept stage, the solution creates an Assistance Network that can help patients live independently while offering peace of mind to family and loved ones. 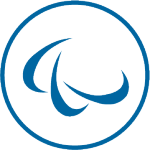 The Assistance Network is made of several components. 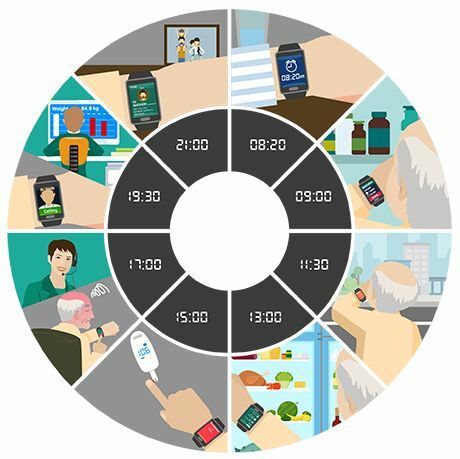 At its heart is the patient: by wearing a Smartwatch and using other connected health sensors (scale, blood pressure, glucometer, …), the patient’s vital data can be easily collected by patients, and automatically made available measured and analysed by formal caregivers such as doctors and nurses. Stored in the Connected Assistance Cloud Server, it is available at all times, on any device. Doctors can monitor the patients progress in real-time, continually updating their individual medical strategy and health objectives. The technology will also benefit the patient themselves. From offering reminders about medication intakes or appointments to providing a ‘help’ button in times of emergency, Connected Assistance aims to help relieve some of the pressure on patients in managing their healthcare. The data is also shared with designated family members to help them be proactive in detecting any potential problems. It also provides an easy-to-use portal for families to help plan medical visits and offer comfort in times of emergency. Perhaps most importantly, the technology aims to combat loneliness – one of the biggest problems for the elderly. Using the app portal, families are able to stay in touch with their relative through instant messaging helping to ensure they feel supported and connected at all times. As mentioned, Connected Assistance moved into the proof of concept stage where we will use it with real-life patients, testing the solution in a practical way. We’re very excited to see how the technology can have an impact on the real lives of the people who need it most.